I am going to start posting this challenge on Sunday's so the goal is set and ready to go for Monday mornings. 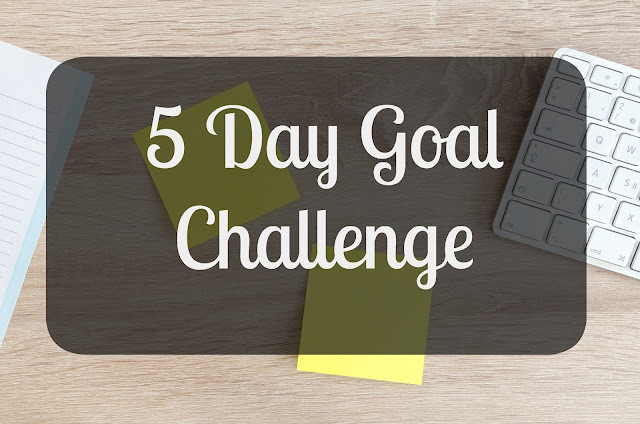 For those of you new to the 5 Day Goal Challenge, it is a small goal set to help you reach your larger goals. Reading my intro post will give you a better idea of what I believe the purpose is for smaller goals. For last week I challenged myself to drink 80 ounces of water a day. I can honestly say I don't know why I challenged myself this much water, as I did not meet that goal each day until Thursday and Friday. I did however up my water intake quite a bit, so I call that a win. Part of me wonders if by upping my water intake set things in motion to my kidney stone episode. On Thursday at about 6pm I was laying down watching TV when I got this sudden urinary track infection feeling, that sudden urge. You know what I mean. So off to the bathroom I went. I suddenly had the most awful cramp and pain in my left side. I immediately went to lay down in bed. It just got worse. I called my husband and told him he needed to get home immediately. I needed medical attention. By 9:30pm I was diagnosed with a kidney stone that was travelling through my system. I had a partial blockage which was what brought on the pain so quickly. I have really upped my water intake through the weekend to help flush that baby out. As of now it still has not come out, but I am hopeful that will be soon. So for this coming week, my goal is going to be pretty chill. 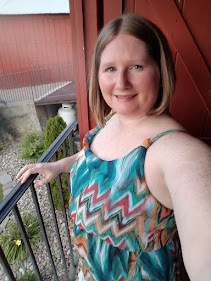 I had originally planned to get to the gym 5 days this week, but that isn't happening until I am all better from this fun experience I've been going through. I am thinking this week I am going to write letters to all my friends. One letter a day. I have been wanting to get back into writing actual meaningful letters to all my friends whom I don't see on a regular basis. This might be the perfect week to get that done. Not a lot of effort required to do that. What goals are you setting in motion this week? Will you join me in taking this 5 day challenge?